"Creative Endeavors" forum now open for business. At the appeal of one of our particularly creative AppleNova members, I've added this "Creative Endeavors" forum as a venue specifically designated for people to share and discuss their creations or collaborate on new ones. Welcome posts to this forum could include (but not limited to) your efforts and productions in writing, music, photography, drawing, construction, circuitry, crafts, cooking... just about anything you put your own imagination and talents to making. I've pulled in a few existing relevant threads from AppleOutsider to get this forum started off. When I added CE, I also shuffled the overall forum arrangement to try to keep the more popular ones above the fold. Looks like you're the first to notice. 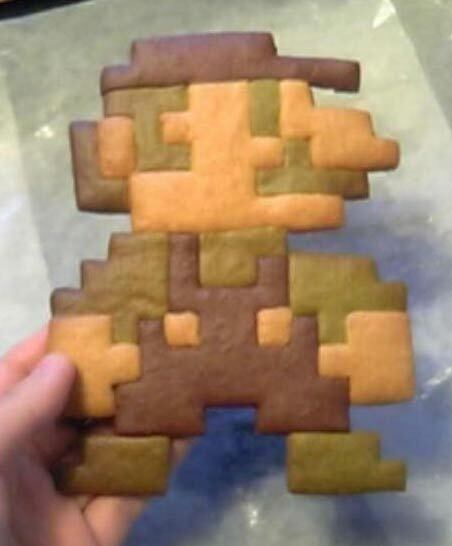 Here's a cookie. Yay! Brad, this is almost as awesome as the iPhone theme. I particularly like how you already populated it with the appropriate threads - very nice! Nice idea. I have a further idea for a running thread that I hope to add soon. Nice. Thanks Brad. I'll be contributing here too. Awesome new forum layout. That's a sensible way to do it, I think (Rumors, current stuff, third-party, general discussion...just seems like a nice flow, from upcoming Apple stuff, to current gear, to the products of others and then general tech/geek talk). Then the fun stuff (AppleOutsider and Creative Endeavors), followed by the more "meat 'n' taters" stuff that doesn't necessarily fit in neatly with the above (purchasing advice, support/help, programming and the bazaar). Good work! The whole thing just "sits" better now, IMO. There's a nice order and grouping to it all. It's exactly the way I would've shuffled it, if it was my job to do so. I know right? I was "expecting" CE (if it existed, which I wasn't expecting it to) to be shoved between Programmer's Nook and the Bazaar but I like this arrangement so much better. And I wasn't expecting him to "pre-populate" it, either. I raise a glass Spicy Sweet Chili Dorito to Brad's honor. Hey, that's just how I roll. I actually did the same thing when I created the last few forums.